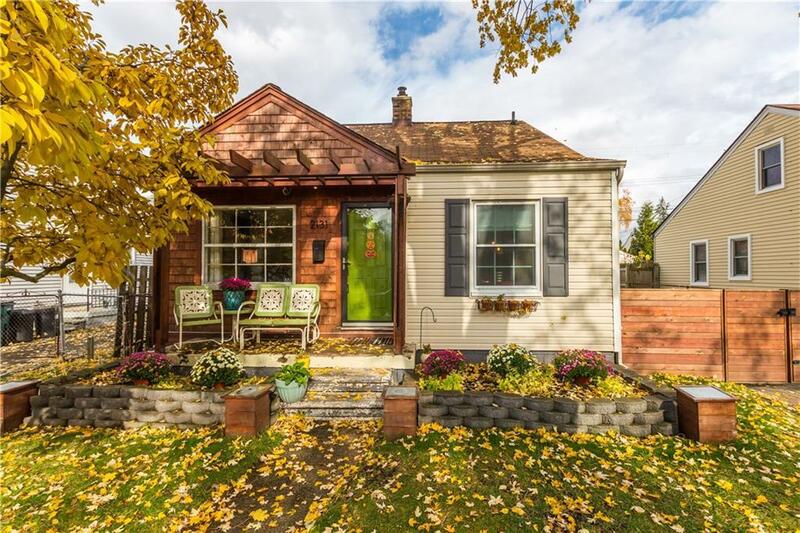 Beautiful updated bungalow in Ferndale. Living room boasts gorgeous flooring and tons of natural light. Large eat-in kitchen features custom tile floor, stainless steel appliances, and updated counters and backsplash. Bonus laundry room off kitchen. Two nice sized entry level bedrooms share an updated full bath with new vanity and tile shower. Extra family space off one bedroom has doorwall access into the backyard. Enjoy the spacious upper-level master bedroom offering exposed brick, charming built-ins, and industrial railing. Detached garage, easy access to freeways, and quiet neighborhood. Updates include windows, blow in insulation, custom cedar shake siding, and pergola, cedar fence, and replaced the sewer line. Welcome home!